The discipline of World Englishes has been one of the most thriving branches of English linguistics. This branch has become the focal focus of considerable debate. The chapter mainly aims to show the multilingual reality of English. It is an attempt to answer the question “Do we have English or Englishes?” The chapter tries to study the recent situation of English as a lingua franca. It first gives an overview of the spread of English and the emergence of new Englishes. Then, it presents the principals of traditional applied linguistics and second language acquisition. It also discusses the concepts of World Englishes, multilingualism, and pluralism. After that, the chapter presents the World Englishes debate to show the gap between monocentrists and pluralists. Finally, the study sheds light on the fact that Englishes reflect the multilingual reality of English. This chapter is an attempt to explore the spread of English as an international language and the emergence of its new varieties. It is also an attempt to show the multilingual reality of English. It starts with an overview of applied linguistics and second language acquisition. It then tries to define world Englishes, multilingualism and plurilingualism. Finally, the chapter tries to discuss the plural reality of English. Widdowson (1997) declared that “English has spread to become an international language” (p. 135). Platt, Weber and Lian (1984) express this idea, “the spread of English to so many parts of the world and the increase in the number of those learning it and using it has been the most striking example of ‘language expansion’ this century if not in all recorded history. It has far exceeded that other famous case, the spread of Latin during the Roman Empire” (p. 1). Kachru (1996) states that the spread of English is attributed to a number of phases. The first phase involves the spread of English in Britain, including Scotland, Wales and Ireland. The second phase includes the expansion of English in North America and New Zealand. According to Kachru, the third phase has an immense impact on the sociolinguistic profile of English. During this phase, English became an integral language in South Asia and South West and East of Africa. Due to this spread, English is regarded as a pluricentric language. Kachru (1996) states that pluricentricity “is not merely demographic, it entails cultural, linguistic, and literary reincarnations of the English language” (pp. 136-137). In other words, the spread of English could “be viewed in terms of three concentric circles representing the types of spread, the patterns of acquisition and the functional domains in which English is used across cultures and languages” (Kachru, 1985, p. 12). In a similar research vein, Bhatt (2001) advocates that the spread of English is the result of “the economic conditions that created the commercial supremacy of the United Kingdom and the United States” (p. 533). The researcher argues that the “econocultural model” (p. 533) facilitates the spread of English. In this context, Brutt-Griffler (1998) sees that the econocultural model is “the center of gravity around which the varieties of World Englishes revolve” (p. 386). Thus, English becomes a global language. It is a means of communication. World Englishes: World Englishes refers to forms of English that have been developed by non-native speakers. The plural form Englishes shows the diverse aspect of English today. This term is used to describe the different varieties of English in the multifarious sociolinguistic context. 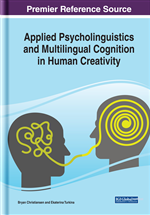 Plurilingualism: Plurilingualism refers to pluricultural competence. It is the ability to use more than one language and switch easily in communication and interaction. Multilingualism: Multilingualism refers to the existence of many languages in one context. According to this study, multilingualism is the outcome of the increased spread of English.